Did your kids get a lot of aguinaldo this Christmas? Here's what you can let them do with the money. 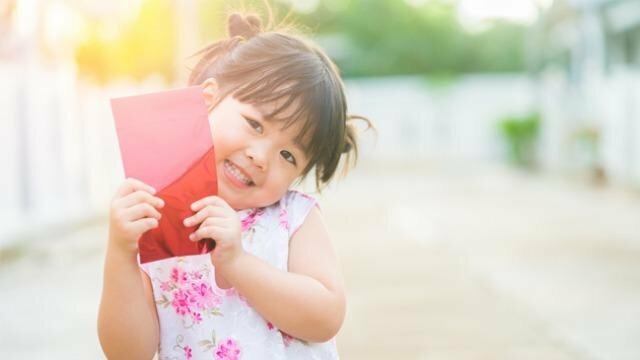 Every year, ninongs and ninangs, especially those who haven't seen their inaanak all year, prepare ang pao—a cash gift placed inside a little red envelope. It's up to you as the inaanak's parent to make sure that these things don't go to waste—or at least are spent wisely. Help them tell the difference between the things they need and the things they want. Most kids with money would often prioritize their wants over their needs. Help them see that it's wiser to invest in things that would be of significant use to them rather than a mere toy. Share a portion with the needy. Introduce your kids to charities, and educate them about the importance of helping out the less fortunate. Let them know that a small amount can go a long way if they choose to share their blessings. Spend on an exciting activity. Do they want to catch a movie during the holidays or spend a day in an amusement park? Talk to them about the possibility of using their aguinaldo money for these activities. Treat the family to lunch or a simple snack. Any child would feel good knowing that they're responsible for the pizza the family enjoyed for lunch or the ice cream served during merienda. A coin bank can be opened anytime. The best and safest place to keep your aguinaldo money? The bank. No one's ever too young to save. In fact, BDO makes it easy with the BDO Junior Savers account. For as little as P100, your kids can open an account and have their money earn interest the moment the balance reaches P2,000. Kids 0 to 12 years are eligible to open this account with the help of their parents. The account comes with a BDO Junior Savers passbook. If your child is between 7 and 12, they can choose to get the ATM Debit Card. Best of all, you can help them build their future by transfering funds from your BDO account to your child's account through the auto-transfer facility. Learn more about the perks of opening a BDO Junior Savers account here.